Despite decades of critique, direct activism, and multiple waves of feminist art movements, artworks in the collections of art museums around the world – including Plains Art Museum – are proportionately dominated by men. This year’s permanent collection reinstallation will explore the Museum’s acquisitions of artwork by women since our inception as the Red River Art Center in 1965. Weaving socio-political movements and regional trends through the museum’s collecting history, we reflect on gender disparities while pledging support to encourage and accelerate gender equity. In addition, we will highlight important artistic achievements – some known and many under-recognized. 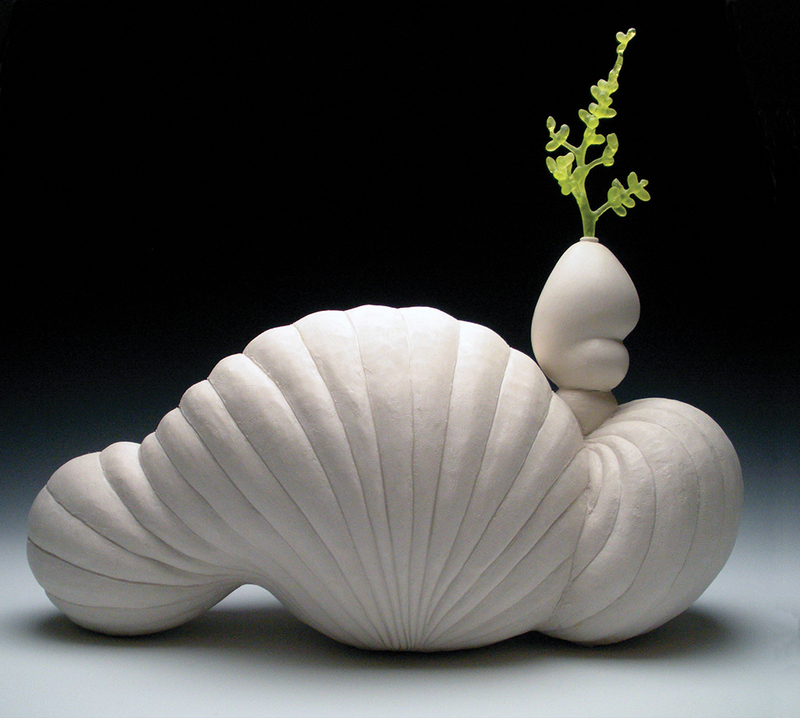 Featured artists include Hazel Belvo, Catherine Mulligan, Maria Cristina Tavera, Gail Kendall, Louise Nevelson, Hollis Sigler, and Kay WalkingStick. Plains Art Museum is home to over 4,000 national, regional, and local works of art and is focused on collecting modern and contemporary art in a variety of styles, with strengths in regional art, American and European Modernism, and Native American work. This current exhibition also acknowledges donations from private collectors and gifts from businesses, attesting to the artistic awareness and support from those residing in the Upper Midwest and afar. Join Plains Art curators for a tour of the exhibition and a discussion of the Museum’s history of collecting and exhibiting women artists. Join us for an evening of Great Art, Food, Drinks, Company and Live Music. 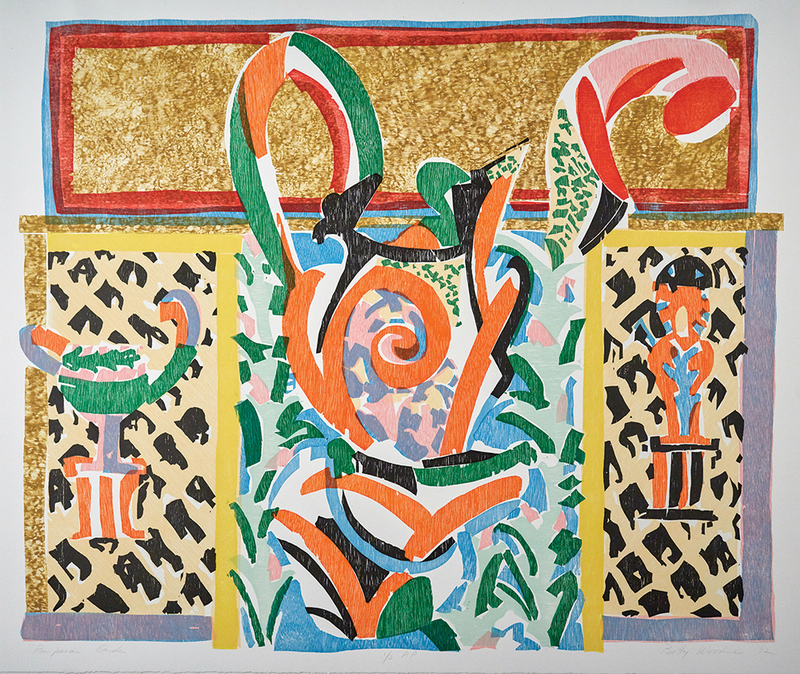 Betty Woodman, Pompeian, 1992, 11 color relief print on Rives BFK, Ed of 15, 30 x 35 in.